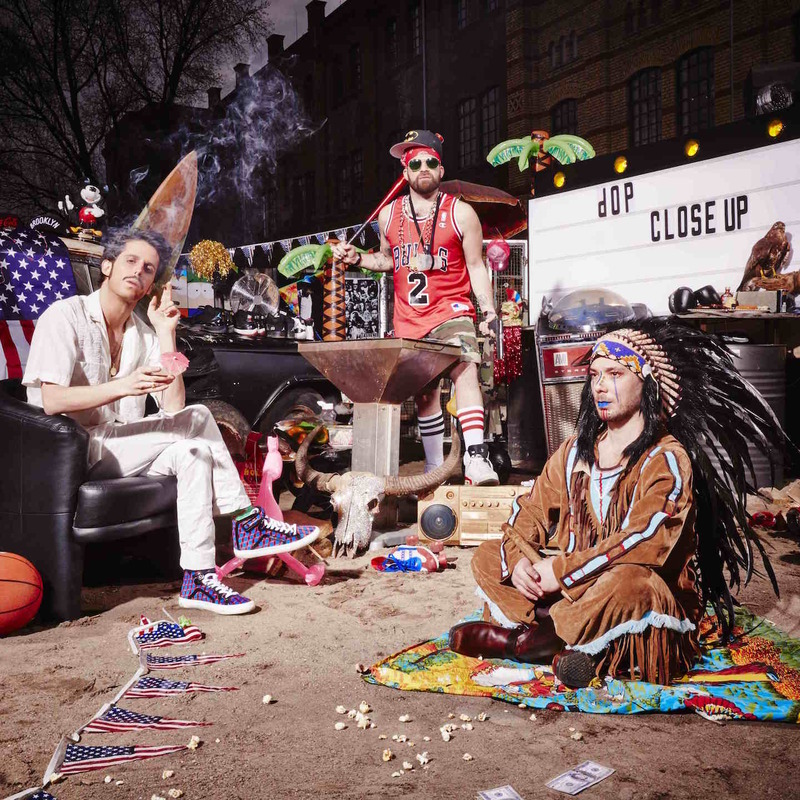 The unique and barnstorming trio from Paris dOP are back on the home turf of Circus Company with killer new single ‘Close Up’ including remixes from Catz‘n Dogz, San Proper. Combining a dynamic groove with JAW’s unmistakable sultry drawl and a dreamy soundscape of deep chords and warm pads, the original mix is an addictive slice of vivid vocal house. Catz’n Dogz add more thump with their remix and take the track to the darker recesses of the rave, while in the second remix, San Proper bestows his eclectic style by heightening the dream factor in a spaced out intro before building into the groove against a fresh soundwall of bleeps and oddities. unique and human of ways in an age where computertronics prevail. Making an indelible mark with their flamboyant style of house on labels such as Eklo, Supplement Facts and of course Circus Company home to debut album ‘Greatest Hits’, 6 years on, dOP are still basking in the art of live electronic performance and irresistible songs laced with charisma and aimed at the strong­hearted, hot­headed dancefloor. Polish wonder duo Catz‘n Dogz (formerly 3 Channels) have fully established themselves as global scale artists with their own imprint Pets Recordings, energetic sets and string of big releases on labels such as Dirtybird and Get Physical plus two studio albums on Mothership. San Proper has been a heavyweight on the Amsterdam club scene for the past fifteen years, spinning or playing live at all the major clubs and festivals as well as smaller, more dodgy underground locations. Working closely with fresh and genuine labels and organisations such as Rush Hour, Dekmantel and Trouw, San Proper has collaborated with muses, friends and associates Tom Trago, Awanto3 and Melon and since 2009 he has been performing & presenting a solo live show chanting vocals and playing several live instruments alongside his hardware and digital gear. New York bred, LA based Louisahhh!!! has been involved in past collaborations for labels such as Bromance, Hot Creations, Suruba, Throne of Blood and Lo:Rise/Defected and is half of house­centric production duo NYCPARTYINFO.